There may be no place where quality pest control is more important than in food service businesses. Health codes are strictly monitored. Plus a single pest can cost you customers. 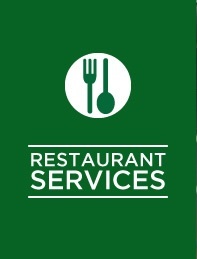 Rocket Pest and Termite has worked closely with our clients in food service to develop practices that fit their businesses. We use these practices and experience to tailor a custom made program to suit your needs. Pests are kept out. Because a single pest can do irreparable damage to a restaurant in an instant. Our plan includes proactive techniques and monitoring that help keep pest problems from getting started. We’ll work with you to maintain HACCP accreditation and Health Department compliance. Clients include businesses with a kitchen and providing meals like Restaurants, Bars, Cafes, Casual Dining, Coffee Shops, Bakeries, Cafeterias, Charity kitchens, Health Food Stores, Fast Food and Takeaway businesses.